In case we need to contact you about your child. 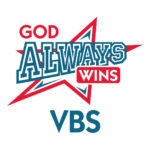 Please use a number where you can be reached during VBS. Include at least two people. Include each person's name, phone number, and relationship to the child. Include each person's name and relationship to the child.